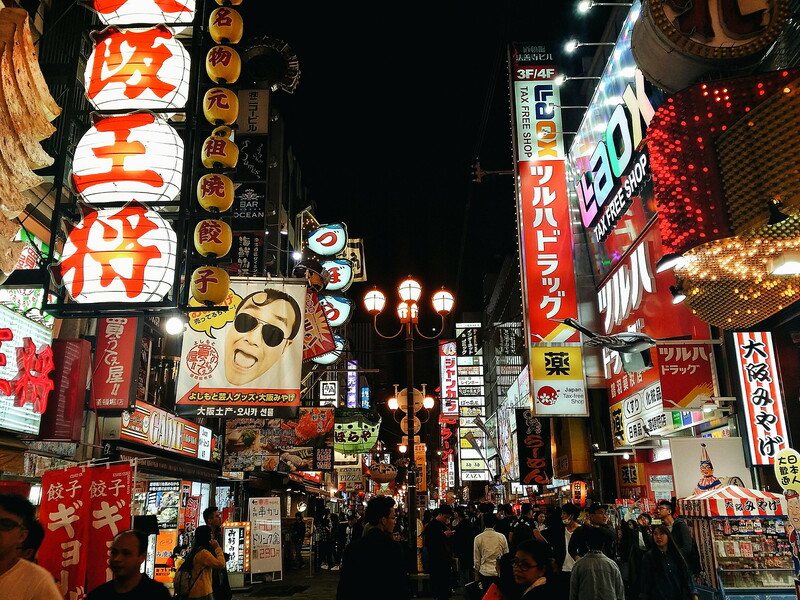 You can read my previous post Japan: Airfare, Visa, Budget & Travel Guide for some basic things you need to know before going to Osaka, or basically Japan. via plane: Book a flight to Osaka, with Kansai International Airport as your main arrival point. via train: Book a Tokaido Shinkansen (Nozomi/ Hikari/ Kodama) of JR Railway. This shinkansen connects Tokyo, Nagoya, Osaka, Hiroshima and Hataka. Tokyo to Osaka one way costs P6000+. (Pricey but it’s included in the JR Pass) You can see the prices here. Shinkansens are what Japanese bullet trains called. With its speed of 320kph, it can connect most of major cities of the country to Tokyo in 2-5 hours. We took the Tokaido Shinkansen that connects Tokyo, Nagoya, Osaka and Hiroshima. All information you need to know about shinkansens are here. We were warned that trains in Japan are never late. Experiencing it first hand, I’ll say it too, do not practice filipino time! If the time board says your train leaves at 9:04AM, it will arrived at around 8:55AM and leave exactly at 9:04AM. I had a great 3 hour transit for the seats are comfortable, with built-in tables if you want to eat, and spacious leg room. It may be running at 250kph but I didn’t felt nauseous at all. (well except if I focus on the window view shifting so fast) And you shouldn’t miss it’s automatic toilet! 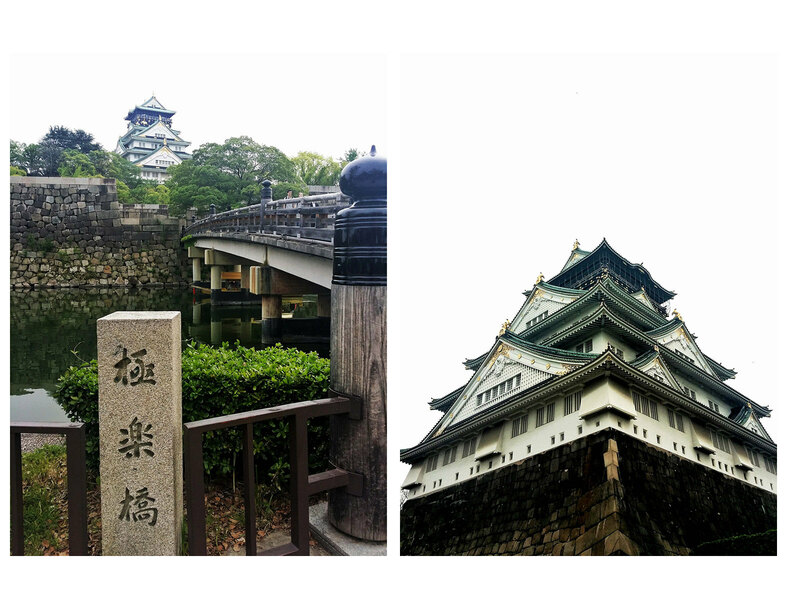 Osaka doesn’t have a lot of tourist spots and Osaka Castle is probably the famous one. 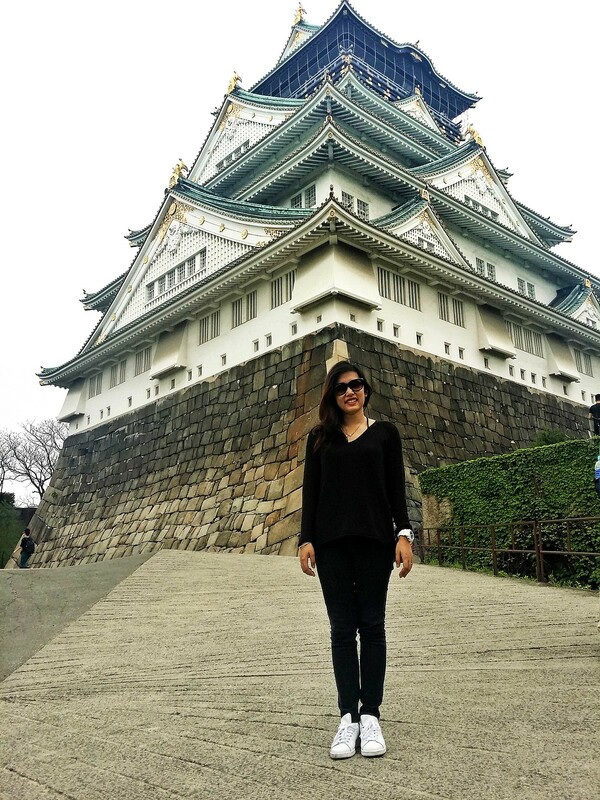 Osaka Castle is a typical Japanese castle in green and white standing tall in the end of the park. If you’ll be exiting in Osakajokoen Station, like we did, you’ll enter the rear gate and need to cross a bridge to the castle. Later did I know that Japanese castles before are for emperors and serves as military guard defense thus the water surrounding it. (ooohh, new knowledge!) 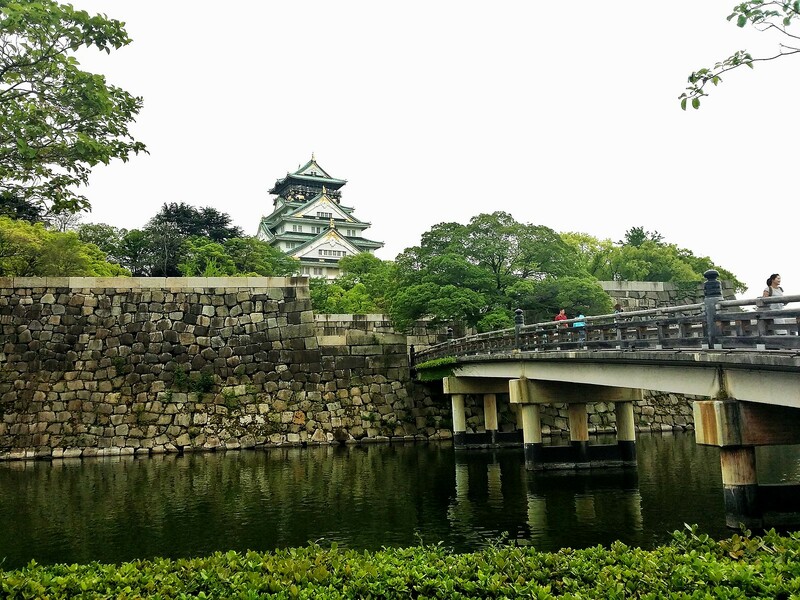 Now, Osaka Castle and Park is an oasis in the middle of a busy city. Arriving 2 weeks late for sakura season, Osaka Castle is a screaming green place already and had no traces of even one cherry blossom. There’s nothing much to do but to walk and take pictures in the park. You can go inside the castle tower for 600 yen (approx 300 pesos) that are already renovated to be a museum of history. We didn’t and just decided to stick in the beautiful park. My all black outfit matching the gloomy weather. 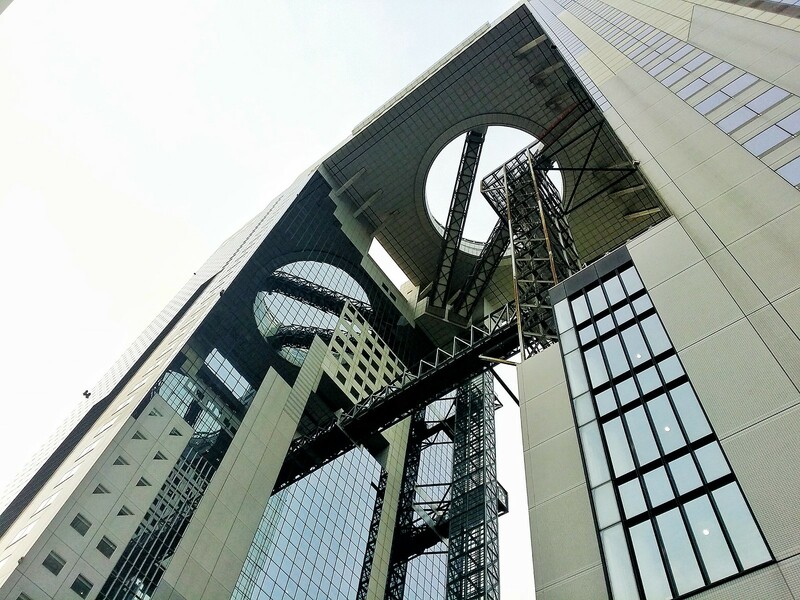 Umeda Sky Building is a pair of skyscrapers connected by a bridge on top known as the Floating Garden Observatory. In the observatory, you can see a 360 degrees view of the cityscape of Osaka. We didn’t go up because it is quite pricey for 1000 yen. (approx. 500 pesos) We got lost at Osaka Station and asked a local for directions. She even advised us not to go up for it is cloudy so the view is not that good. P.S When talking to a local, prepare photos, maps and your charades skills. Best to do in this place? Go up the observatory to have a bird’s view of the city. Just make sure the sun is out. 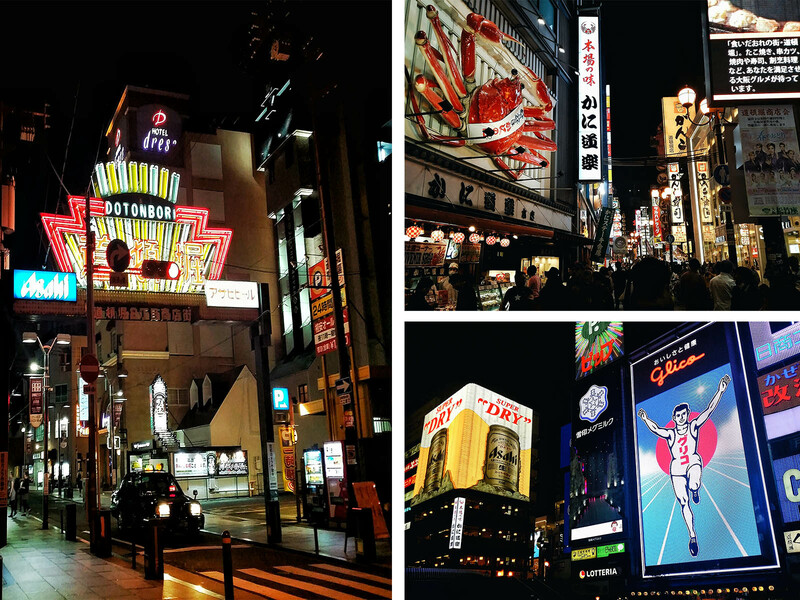 Osaka is the city for Japanese food lovers and Dotonbori is the exact street in the city to unleash your foodie self. 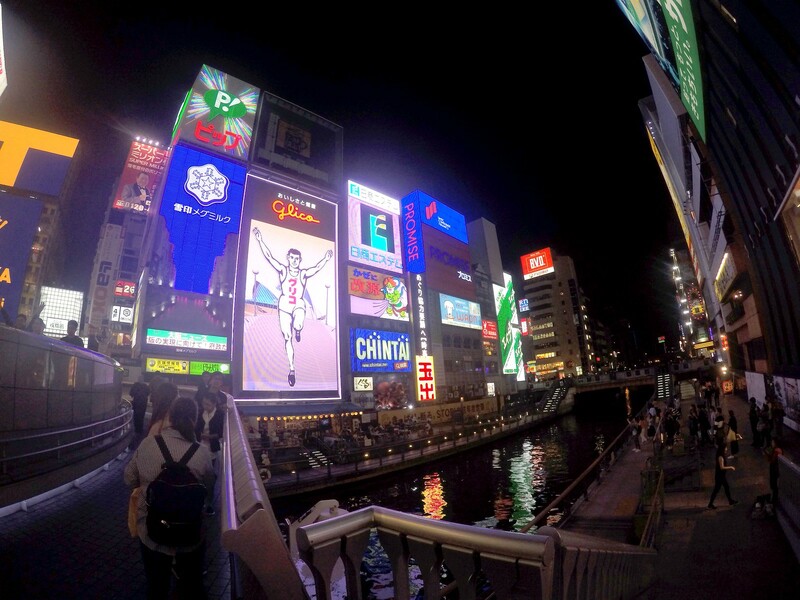 You’ll never miss Dotonbori because of the bright huge billboards along the Dotonbori River. And of course, we didn’t missed the opportunity to pose with the famous Running Man. 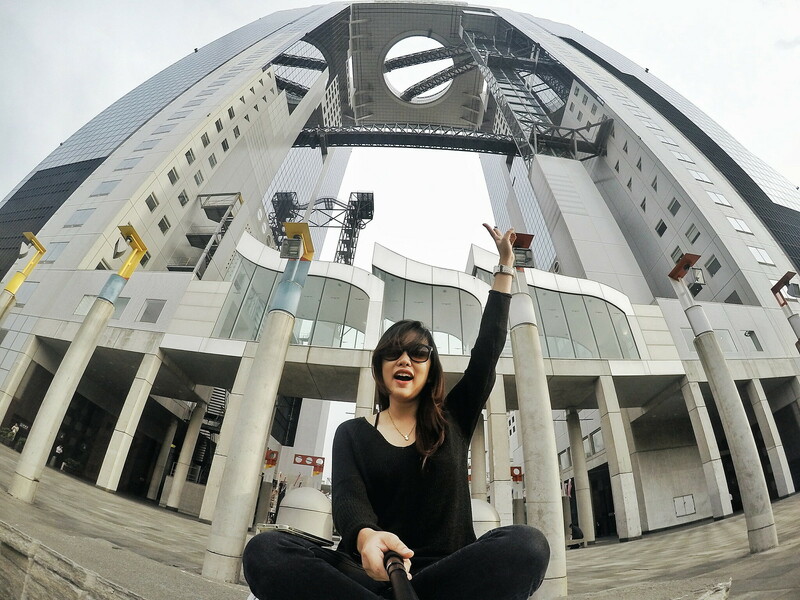 (Go fight for your photo spot in the Ebisubashi bridge!!) As they say, you’ve never been to Dotonbori, if you don’t have a photo with the Glico Man. If you’re a fan of Pocky, you should thank Glico. From all the walking we did that day, we deserve an authentic Japanese dinner. But with all the gigantic mechanical food display, neon lights and delicious aroma from all the restaurants, it’s hard to decide what to eat. 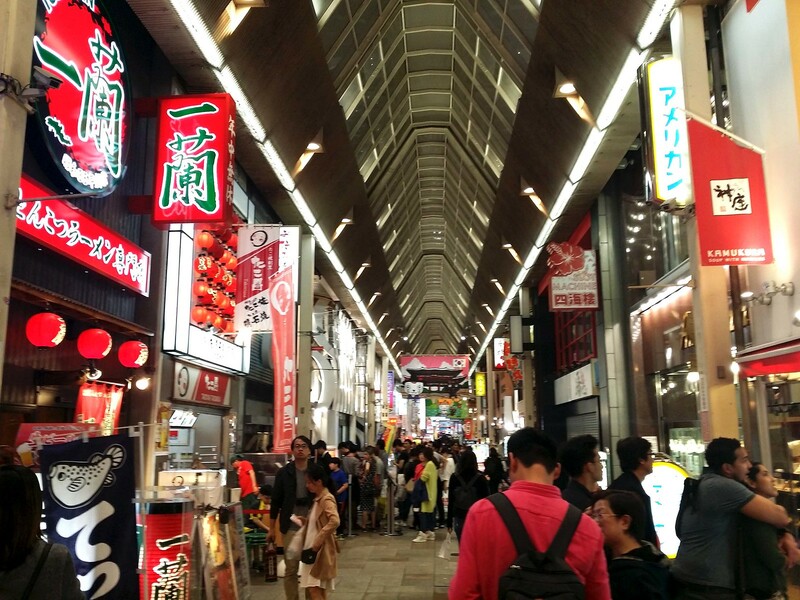 Okonomiyaki, Takoyaki, Ramen, Gyoza, Tonkatsu, Udon, sushi, sashimi, name it and surely this gourmet street has it. There are so many restaurants to pick from and most of their menu and prices are already in display outside. We settled for a affordable restaurant in Japanese characters and ordered a ramen (in half). I tried their okonomiyaki the night after and IT.MUST.NOT.BE.MISSED!! BEST TO DO IN THIS PLACE? Just freaking eat everything you can see and you can buy. (ESP. Okonomiyaki and Takoyaki) And oh, go try Tombori River Cruise in the Dotonbori River for 20 minutes for 900 Yen. Other places to see in Osaka: Universal Studios (blogging this next so stay tuned), HEP Five, Osaka Museum of Housing and Living, Osaka Zoo (for the kids), Osaka Aquarium. Have you been to Osaka or planning to go soon? We can share notes below the comment box. That was a Japan-tastic trip! Japan is on my bucket list and was planning to visit maybe next year if schedule permits. Im crossing my fingers! Will bookmark this for future reference! Very witty mommy! Let’s claim it that you will. My partner and I are planning to visit Japan next year! Your post was the perfect inspiration for our trip! How many days would you recommend for Osaka? 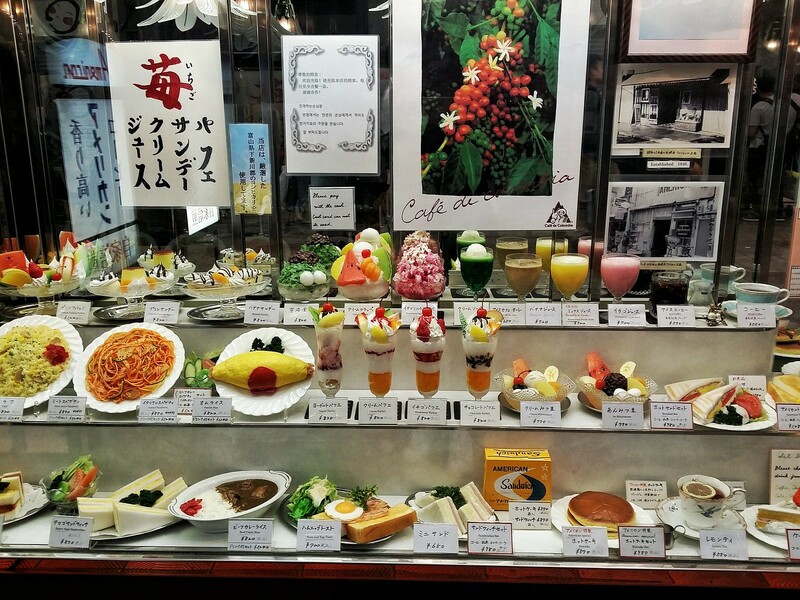 (I also read a really interesting article on Japanese Fake food not too long ago, you can read it http://www.vice.com/read/a-visit-to-japans-fake-food-capital-701 if you’re interested! 🙂 Keep up the amazing work! 3 days is already enough then you can go see Kyoto, Nara and Kobe too which are just a train away. I’ll definitely read that. I’m not aware of Japanese Fake food. Is there even such a thing? I really hope to go to Japan one day. That would be so awesome! All the neon lights.. wow , that street looks busy! I love the look. Must be nice to walk around there. I don’t eat Japanese food so often. So I’m happy to learn more about it. That display sure looks very tasty! (everything on it haha). Great that Osaka has a museums, a zoo and aquarium as well! I envy you Kitty for living there. 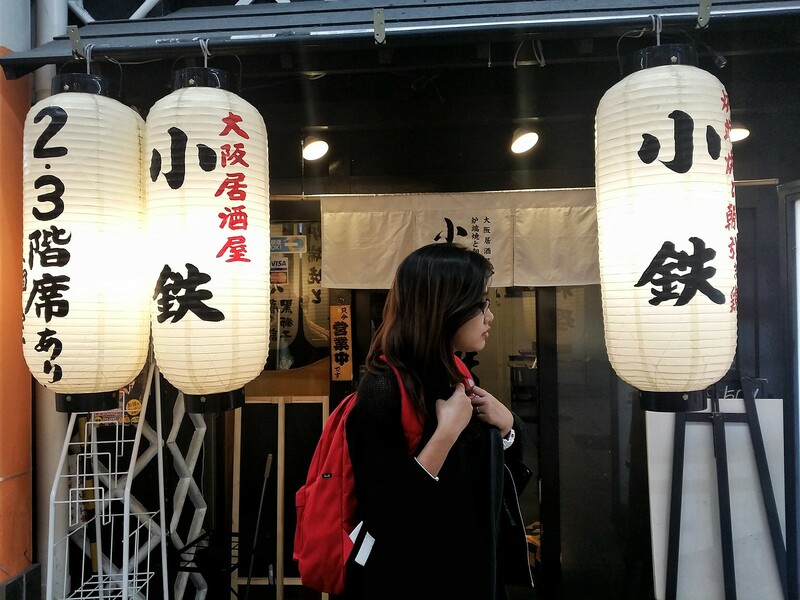 I wanna go work in Japan nga for 2 years ganun because I fell inlove with their culture and the whole city itself. i missed dotonburi! 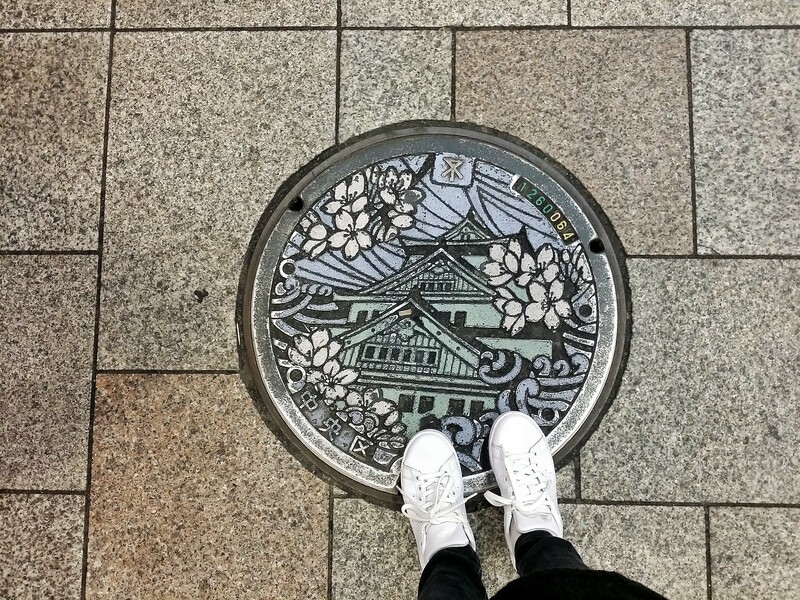 it’s my favourite place when i visited osaka! i didn’t take the shinkansen though, since my flight was directly to osaka and i only travelled over to kyoto (love, love LOVE this place too! even more than osaka! ), nara and kobe, i didn’t have the chance to take the shinkansen. next japan trip, perhaps! I love Kyoto too even I just visit it for a day. 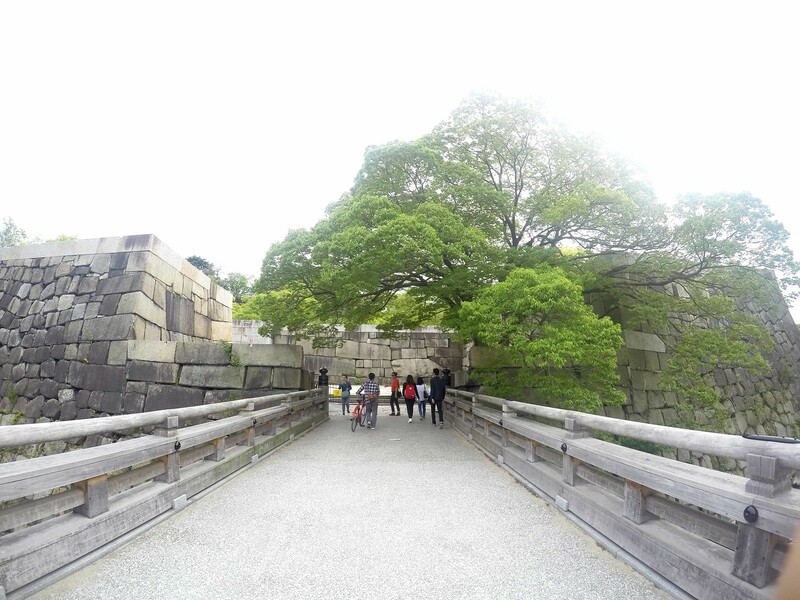 I would definitely comeback for Kyoto-Nara and Kobe. 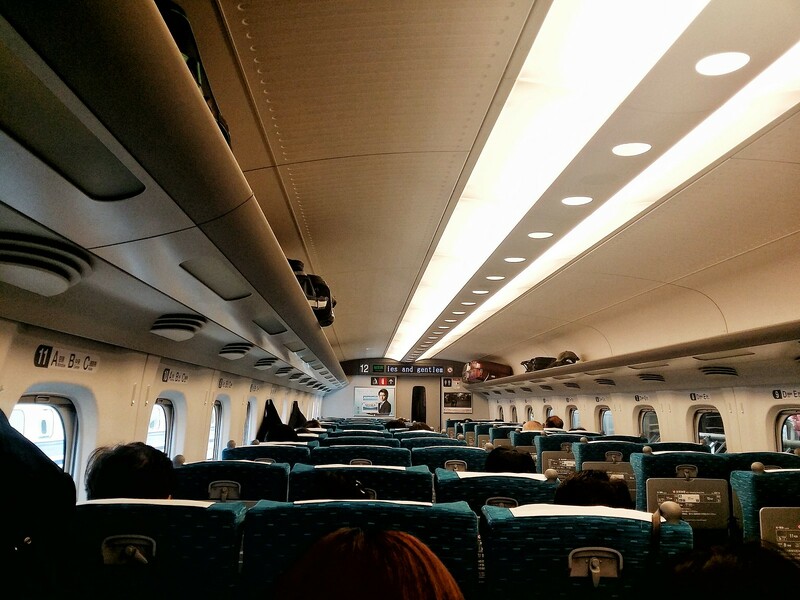 You can take the shinkansen from Tokyo to Hokkaido next time? I heard that’s the newest bullet train. Thanks, Kris. Someday you will too. I’ve only been to Natita airport though but Japan is one of the places I really want to visit. Glad to know these places and will add it to my future travel list! Narita Airport is not that nice compared to Incheon. You should! I love to go to New York naman. The foods! It sure is one shouldn’t miss. The cherry blossoms, it is one of the things I’d love to see in person too… So hopefully, if given a chance, why not?! How much is the cost per serving of the food by the way? The original takoyaki shouldn’t be missed when in Osaka!!! I would definitely go back during cherry blossom season but just to see it. I heard that you won’t enjoy most of the tourist spots because of doubled or tripled tourist. Their cheapest food is maybe around 500 Yen. Those are the ones in the side of the streets. Most of the restaurant’s food prices ranges from 700 Yen to 1000 Yen. But worth every penny!! Their takoyaki is love. Everything around your blog post made me in love. I’ve been dreaming to visit Japan since then. Osaka must be a really good choice if ever I decided to visit Japan and if I get the chance. Thank you for sharing your awesome travel journey with us. I really want to visit this place in the near future, maybe my kids will age at 9 or 10. All spots you mention is just a good way to list down, bookmarked this blog. For future reference,. I’m so thrilled to try everything you mentioned here especially the food part. Japan is still on my wish list. Osaka looks amazing by the way. The Japanese culture shows in their architecture and in their way of behaving as well. I love Japanese food too, this is one of the reasons I would like to visit Japan; eating sushi. However I don’t want to try those ‘strange’ things they some times eat like little animals when they are still alive haha. However you haven’t seem them I think? You just took pictures of all the beautiful stuff out there! I would like to visit during cherry blossom season. In Switzerland too the trains are never late. 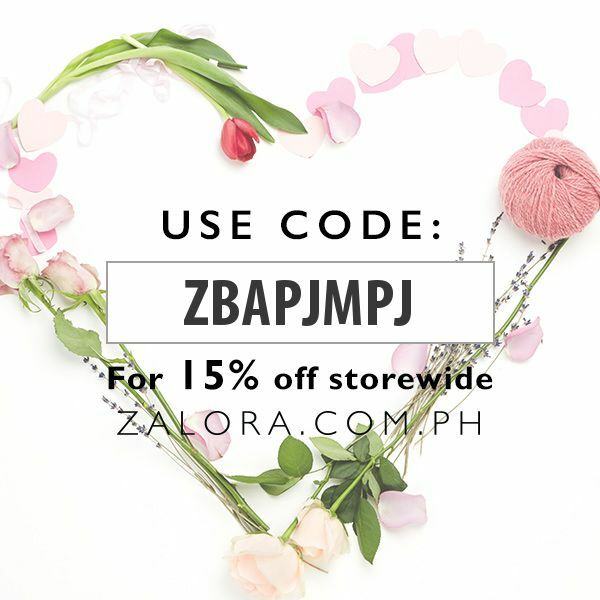 Thank you for this guide! I’m thinking of staying in Tokyo for 4 days, then the last 3 days will be spent here in Osaka. Good thing 3 days is already enough in Osaka. Too bad I can’t see all the pictures here in your post. Maybe it’s my internet. Hahaha.